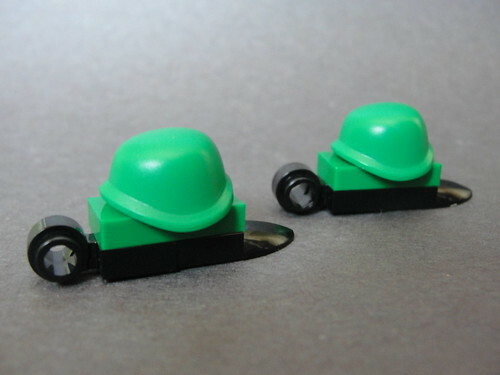 They may be simple, but these “evil slug-turtle things” as Trooperguy calls them, shows what just a handful of parts can turn into. Recently I’ve been making a lot of Christmas ornaments to sell on my Etsy Shop Folded Fancy. 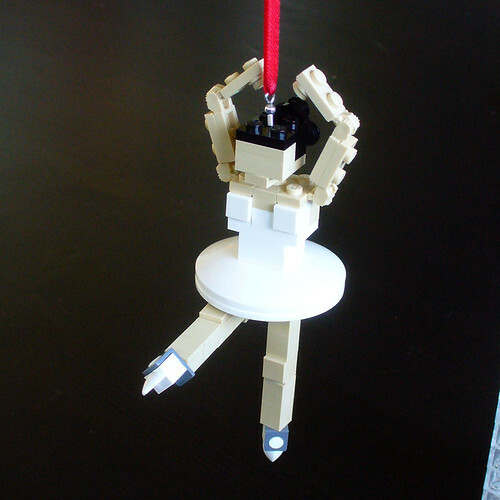 I created this Miniland scale Ballerina Christmas Ornament last night. 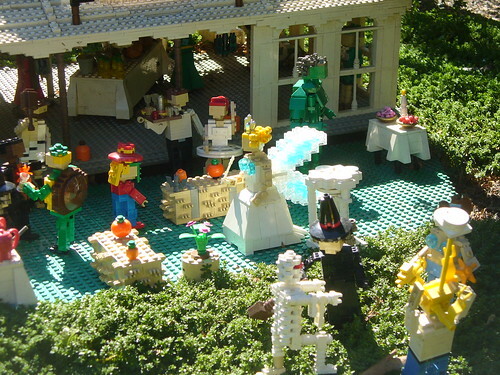 It is based off of a ballerina I designed while still working at LEGOLAND as one of 30 or so Halloween Miniland costumes I created when we updated Miniland for Brick or Treat in 2003 (you can see her behind the fairy, one of my other creations). Feel free to contact me if you are interested in a custom LEGO model. 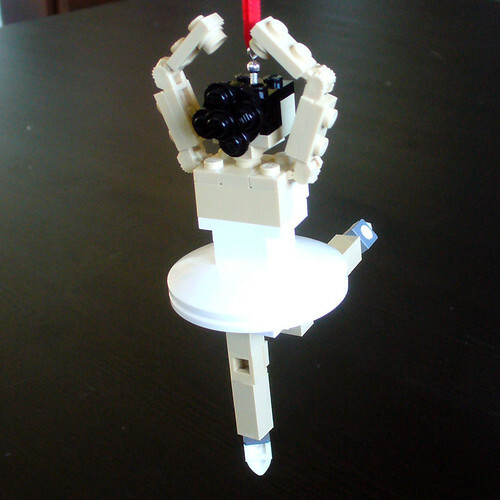 Learn how to build like a LEGO Master Model Builder.